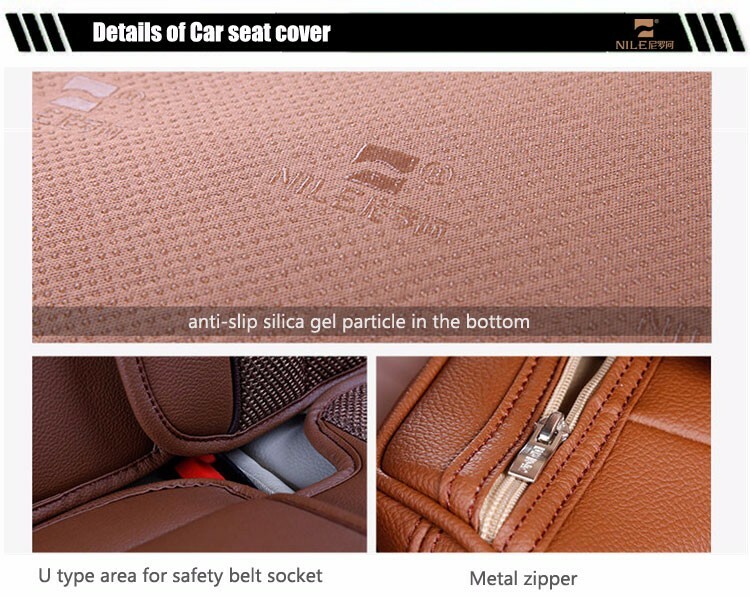 Why we recommend Nile car seat cover manufacturer in delhi? 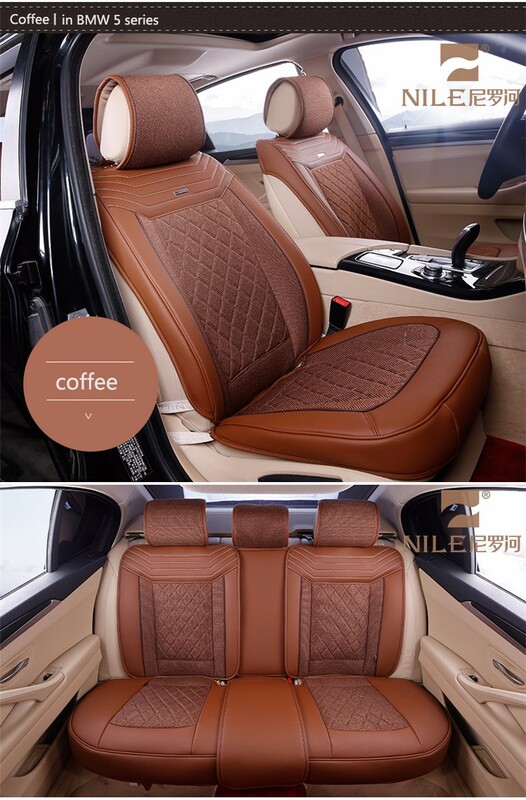 1.The environmental protection and durable leather fabric.The seat cushion uses the comfortable and breathable leather fabric, which is wear - resistant, no deformation, soft and comfortable,etc. 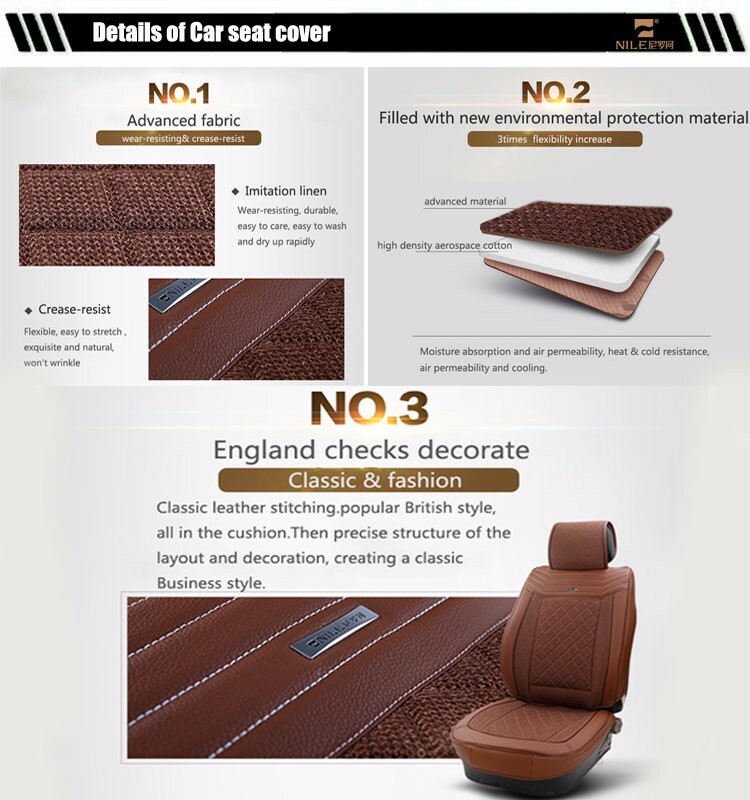 2.Non slip suede backing fabric.To protect the seats of the car better,and increase the riding comfort. 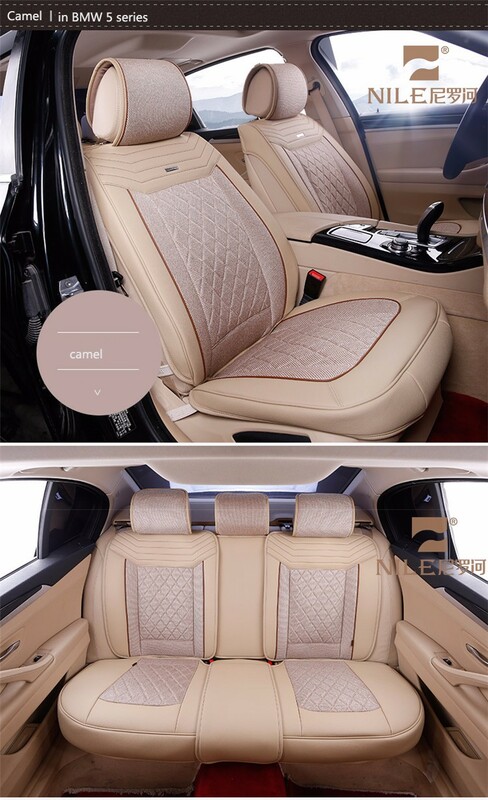 Using the processing technology of health safety and environmental protection, the flame composite technology. It could avoid the secondary pollution, because of the using of the industrial glue. Anti explosion zipper with self locking function. It could keep itself not being torn apart, even under the action of external force. 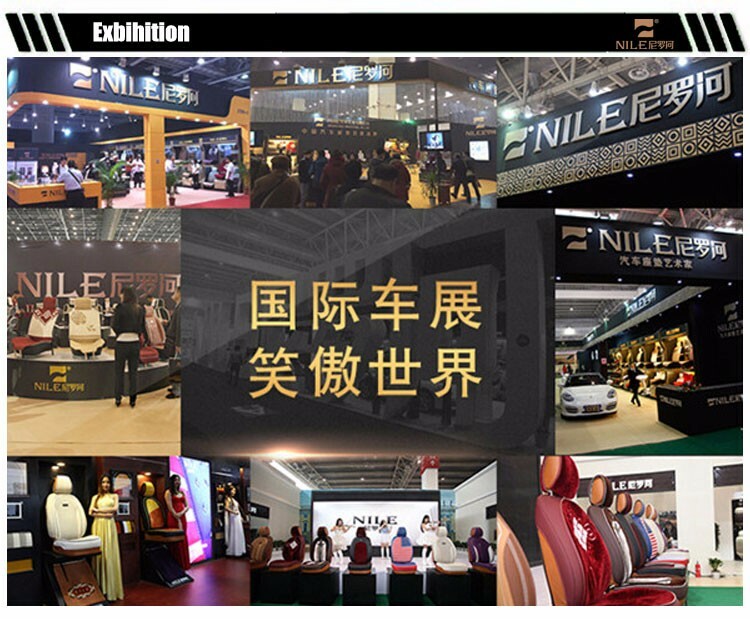 The Henan Nile Industrial Co., Ltd. founded in 1990, is a professional full integration industrial manufacture and trade company,engaged in the automotive interior accessory products design, production, sales and after-sales service .the "Nile" brand has awarded the "China famous brand" title in October,2015. It is a great honour for all of us. 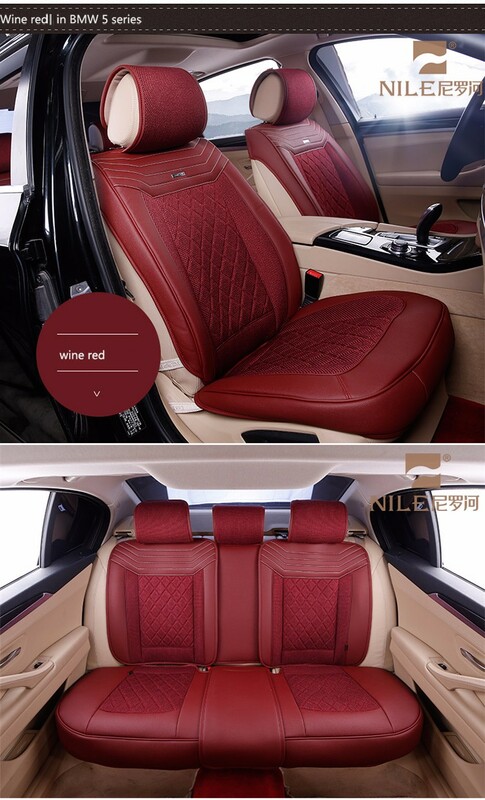 which is the first one won the award,not only for our enterprise,but also for the car seat industry .We must continue to be better,to be more outstanding. 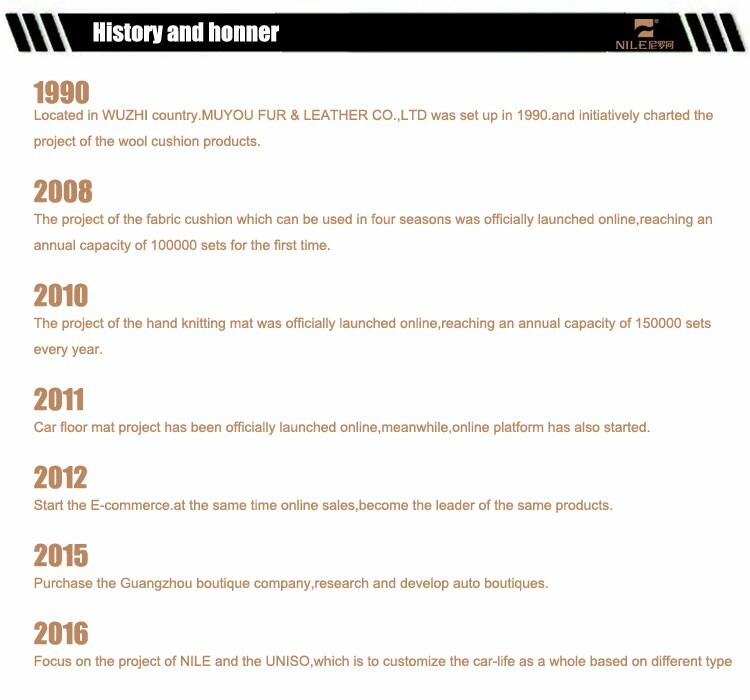 1.Own design department, raw material department and product processing workshop. 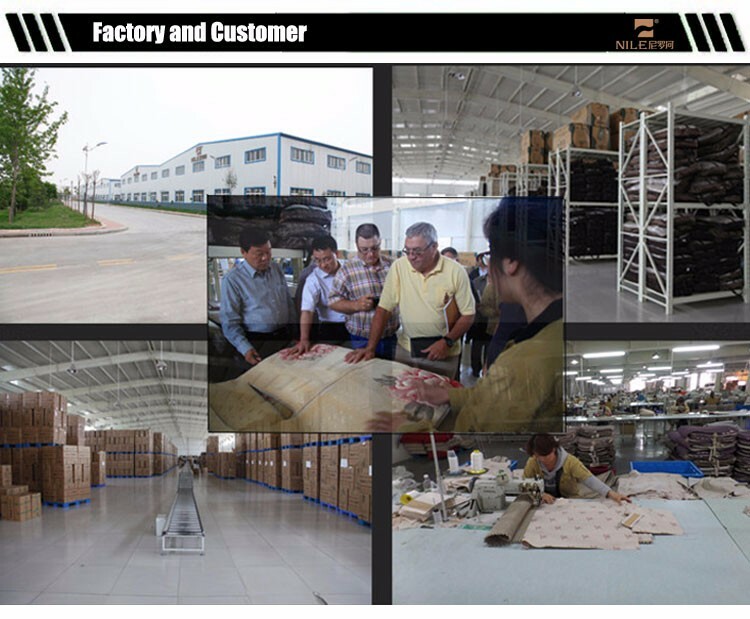 ----we are factory and trading company could supply u high quality products with competitive price. We will make packages according your inquiry about the products' size and quantity. we can make pp bag / carton / plywood box / wood pallet / or follow your comments. 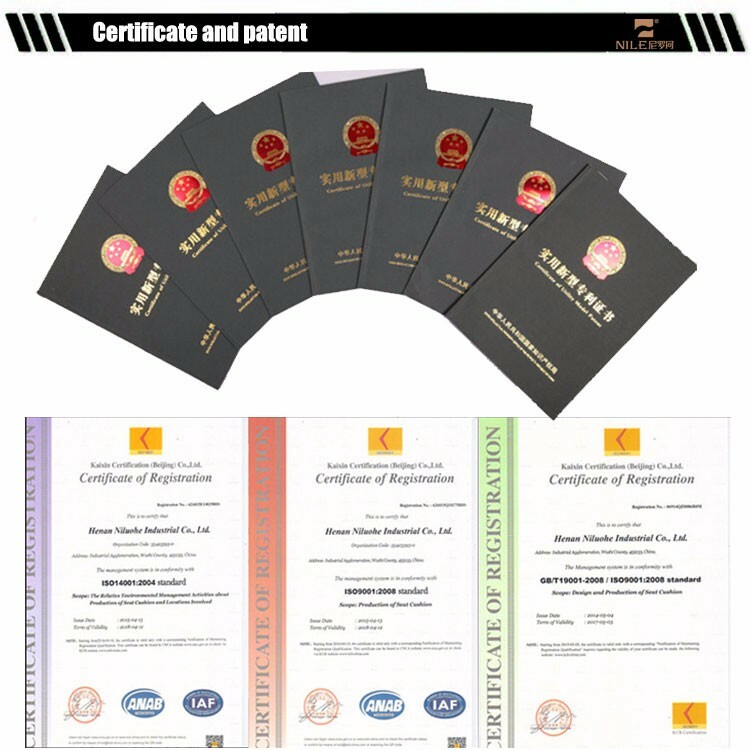 Our Nile Industrial Co. Ltd products have got the government patent certificate. 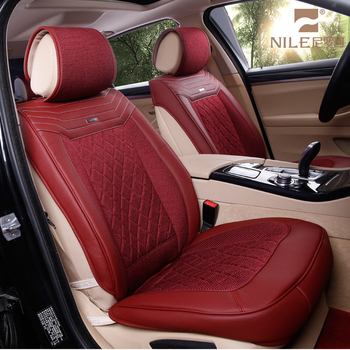 We have the ISO14001,ISO 9001 qualification.NILE would be a powerful and strong brand. To be the best, our belief ! 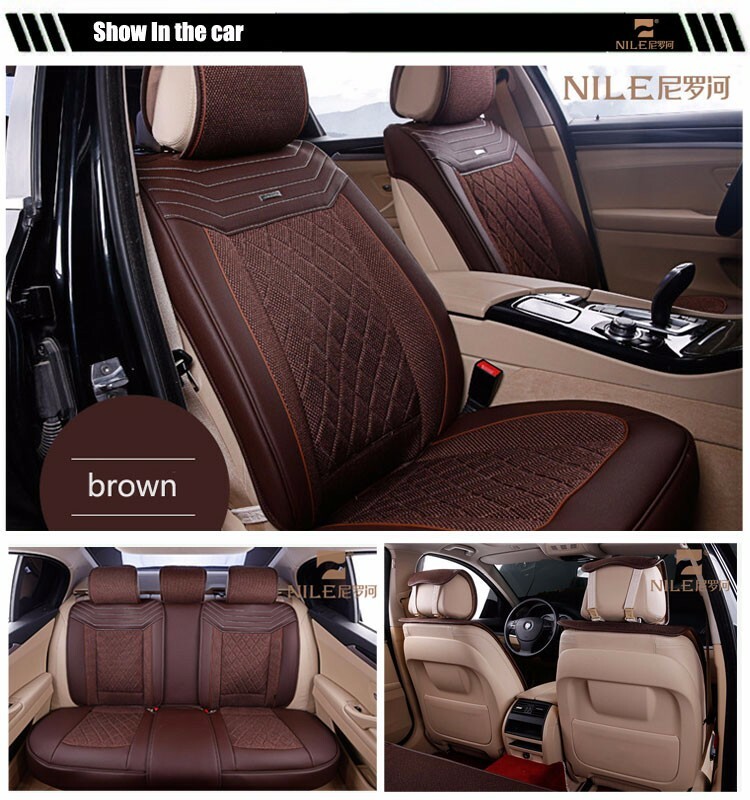 Why Choose Nile car seat covers? 1. Q: Are you a factory or trading company ? A: We are a factory. We are also the trade assurance member of alibaba. 2. Q: Where is your factory located? How can I visit there ? Also can transmit the air plan at Zhengzhou air port. 3. Q: What is the main products and material of your products ? 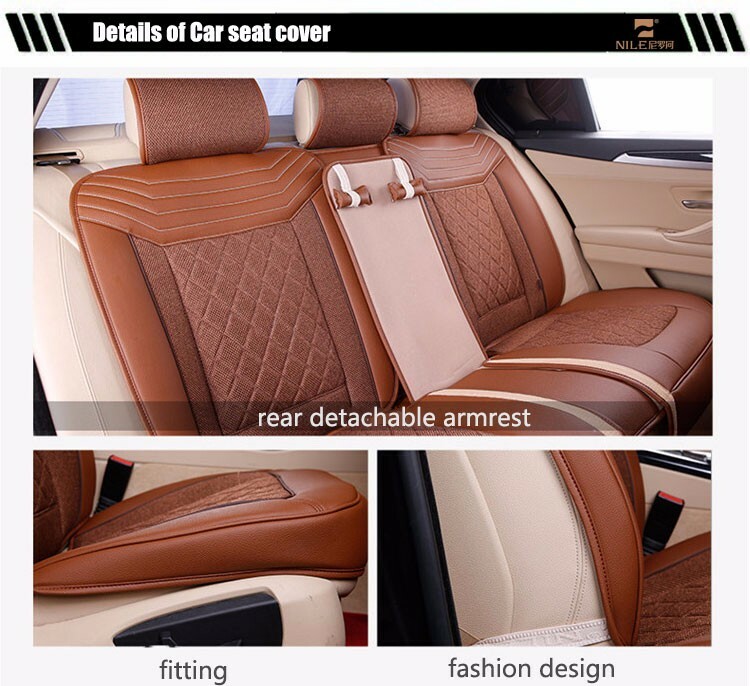 A: The main products are 3d air mesh motorcycle seat cover and car seat covers. 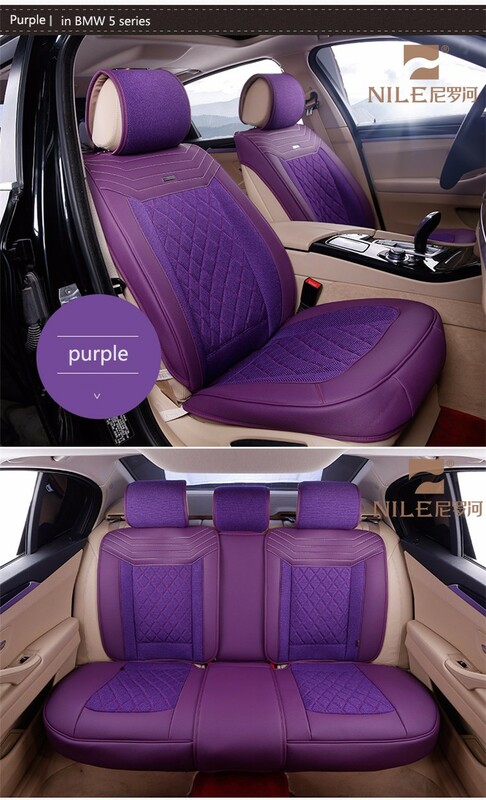 The material is polyester, microfiber leather and sandwich mesh,wool etc. 4. Q: Do you have brand in china? Can we do the OEM ODM ? OEM and ODM is acceptable. A: Quality is priority. We always attach great importance to quality controlling from the very beginning to the very end. 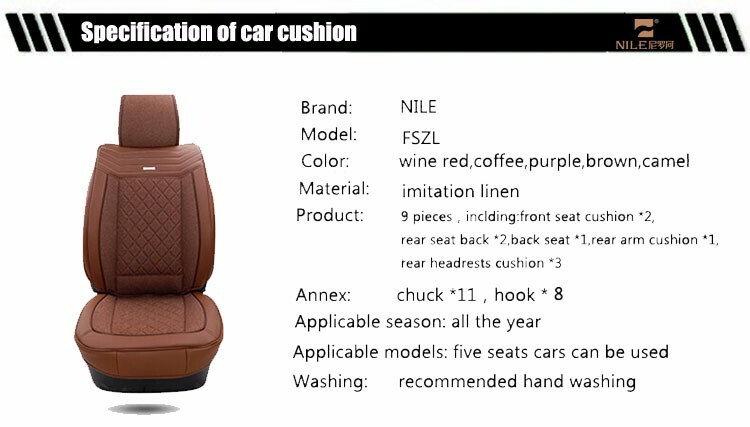 Welcome to contact us for more details, most competitive price for you! 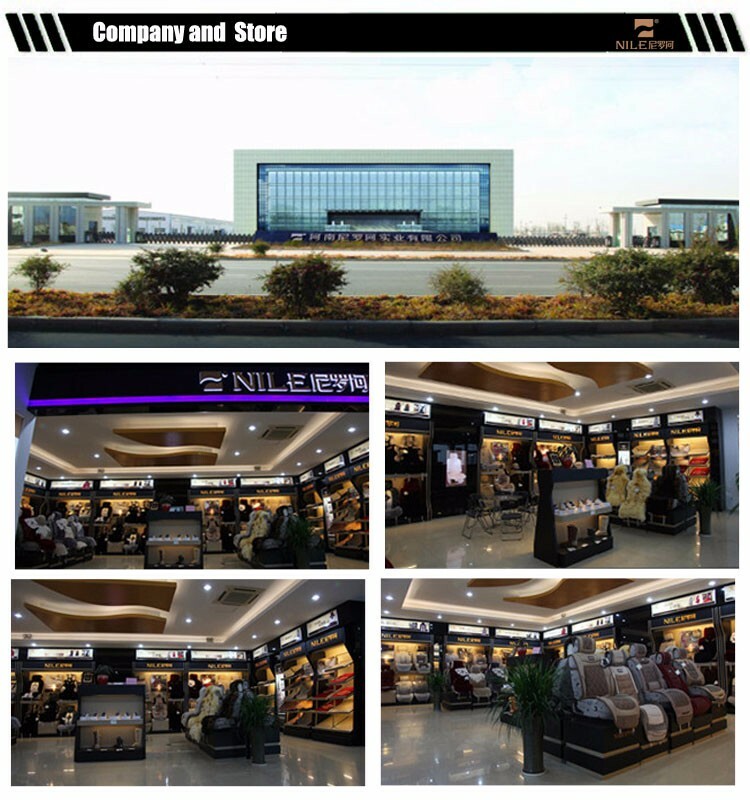 Henan Nile Industrial Co., Ltd.